Click on a title below to learn more and download the resource. The ICD-10 Conversion: Are You on Track? The ICD-10 conversion from ICD-9 has become the most urgent need in today’s healthcare community. Although all formats of healthcare media are promoting how to get ready for ICD-10, too many practices and hospitals are behind in the implementation/conversion process. Despite the law that delayed the implementation to late 2015, it is still imperative for practices and hospitals alike to continue to prepare and make the conversion process as seamless as possible. Identify if your medical practice is behind. Understand the operational areas of concern. What to do if you are behind. The conversion process is not an easy one. There are many steps and many more concerns about the process. The conversion requires resources, dollars, training, and investment in system upgrades. Download this whitepaper and see if can help you understand your progress in the conversion. 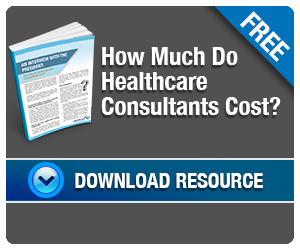 How Much Do Healthcare Consultants Cost? The answer to this HUGE question is finally here! In an interview with the president of Medical Management Service, Andy Popple answers a myriad of questions pertaining to the cost of and the hiring of Healthcare Consultants. How to begin looking for the right consultant. What to ask when deciding on a consultant. and the answer to the biggest question… COST. With Andy Popple’s plain and straightforward responses, with a touch of humor, it is sure to be a resource to help Healthcare Practices make well informed decisions. Finding the right EHR/EMR for your practice is very complex. The EMR your practice buys will certainly be the biggest investment your practice will make. Knowing what are the critical “must haves” in an EMR will make your experience with the EMR in your practice successful. Medical Management Services brings knowledge, expertise and daily interaction with practices for the most up-to-date look at the pitfalls and successes common in making EMR decisions. To receive your copy of this white paper, follow the link below, complete the form and a copy will be emailed directly to you! The No-Show Dilemma: Implement a Fee or Not? The purpose of this How To Guide is to help you make the right decision for your practice. The process in this article will help you analyze your current operational processes and important data to look at the trends and issues, and ultimately lead you to the right decision for your practice. To download this How To Guide, follow the link below, complete the form and a copy will be emailed directly to you! Physicians are not just another hospital department. The realities of aligning a practice with a hospital are discussed by Andy Popple, President of Medical Management Services. Success in that alignment depends on communication, interaction, practical expectations and understanding the provider side of the business of medicine. If you are a practice that is considering this step, you need to read this paper to be able to set expectations of the relationship with the hospital. If you are a hospital that already has acquired practices; this paper will give good insights on how to optimize hospital/provider relationships. Acquiring physicians is not just a financial decision; nor will the acquisition of physicians automatically feed your bottom line. Understanding provider expectations, exceeding those expectations will bring success to both the providers and the hospital. Follow the link below, complete the form and a copy will be emailed directly to you! Physician turnover is relatively high, i.e., greater than 25% over a average period of 4-5 years. Physician satisfaction is generally neutral or below neutral. There is a lack of common culture among providers and medical staff. An us/them relationship exists between management and providers, creating barriers for many things. Operational changes are “mandated” versus adopted. Compensation and productivity is a constant source of conflict. I could easily add 10-15 more items to the list, and I do in the White Paper; however, this basic list will make the point. I will bet you lunch in the hospital cafeteria you recognize at least 3-4 of these items. What practice management system are you using? One of the top 10? All systems claim to optimize revenue, maximize quality, increase practice efficiency, and reduce waste. All claim to have superior reporting capabilities with dashboards and custom reporting abilities built into product. But are you really comfortable that you are maximizing the product? Do you wish you knew the right questions to ask? Have you fully explored the options that might make your use of system more productive? If you are a CBO director, IT liaison or a or a manager wanting to make a difference, you will benefit from this white paper. To explore 6 tips for maximizing your practice management system…regardless of brand. Health care billing continues to be complex and puzzling; so we have added and updated 2 new strategies………reporting (and have included benchmarks vital to your practice) and levering technology with specific ideas to use the technology available to you. Are you looking for ways to efficiently put all the pieces together? Do you need strategies to optimize cash flow? 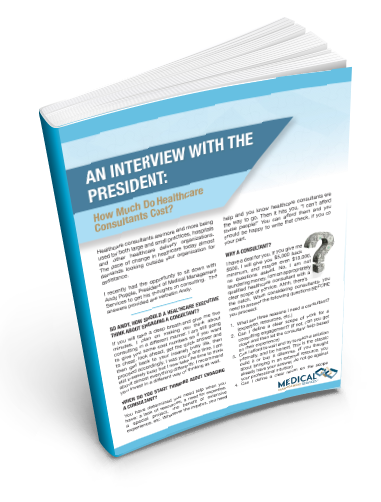 Are you struggling with how to improve cash and deliver patient satisfaction? Is your practice management system delivering all the must haves for your practice? Paying close attention to Self Pay will bring cash to your practice bottom line. Learn the strategies needed to capitalize on your Self Pay collection efforts. Practice managers and accounts receivables directors who struggle with an aging self pay and inconsistent front end policies will learn how to incorporate winning strategies that will bring cash to the bottom line, build good patient relationships, and position practices to cope with more and more out-of-pocket expenses in the future.